"You cannot improve upon it." So said President Theodore Roosevelt when he created Grand Canyon National Monument in 1908. On January 11, 1908, U.S. President Theodore Roosevelt made the massive Grand Canyon in northwestern Arizona a national monument, declaring “You cannot improve upon it.” Roosevelt, an avid hunter and naturalist, loved the American west. He made environmental conservation a priority during his presidency. 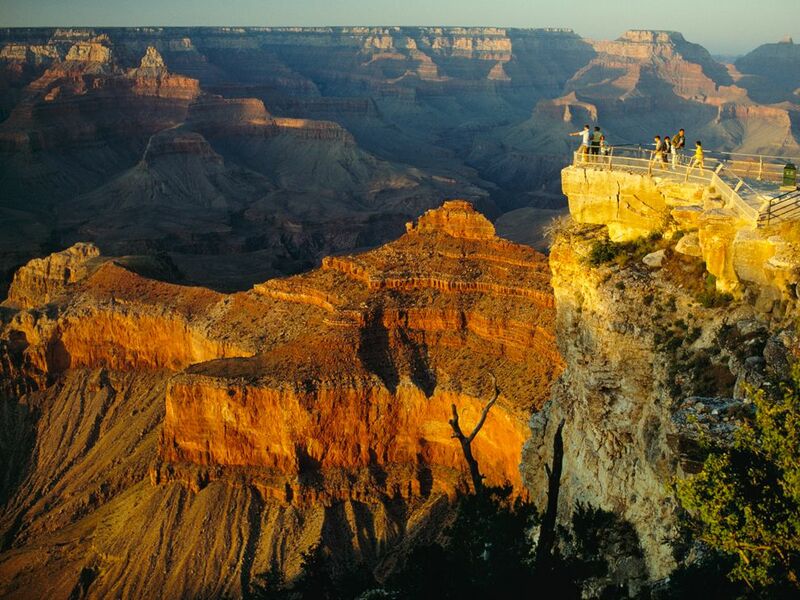 The Grand Canyon is a gorge created by tectonic uplift of the Colorado Plateau. The Colorado River cut through the canyon’s striking red rock as the area was uplifted by geologic forces deep underground. Over the past 17 million years, the flow of the river’s water has carved the canyon to a depth of more than 1,829 meters (6,000 feet), and is still eroding the rock today. Roosevelt’s declaration of the area as a national monument ensured that more than 323,748 hectares (800,000 acres) of canyonland would remain untouched by human development. This means that future generations might enjoy it as he did. to cut or slice through. large gorge made by the Colorado River in the U.S. state of Arizona. federal land set aside to protect objects of scientific and historical interest. something having more importance than others. movement of plates beneath the Earth's surface that causes one part of the landscape to rise higher than the surrounding area. (18581919) 26th president of the United States.